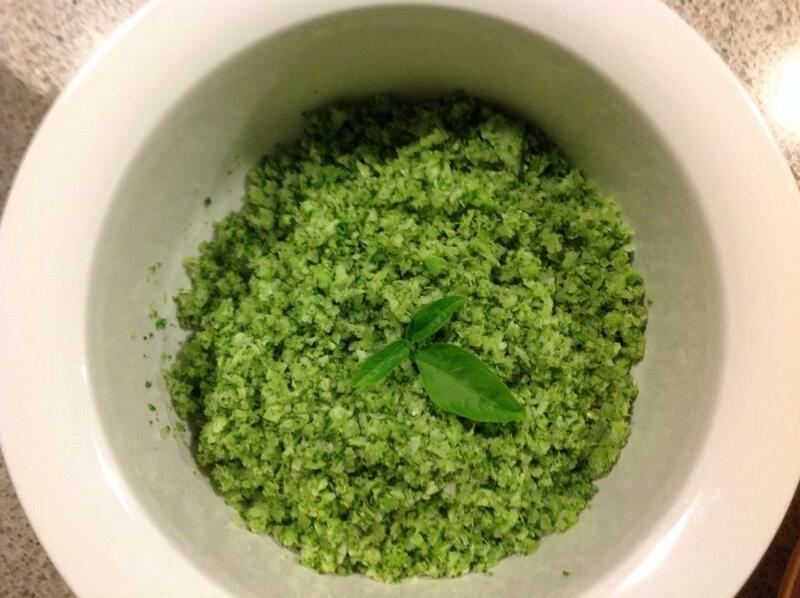 cut a broccoli head up in smaller pieces, put it in a blender and blend until it looks like rice. Heat a pan with 2 tablespoons of coconut oil. Cook the broccoli in the pan for 5-6 minutes, season with salt & pepper & viola, done!